GoodSoundClub - Romy the Cat's Audio Site - The 6E5P tube data. Hello Romy, I finished the 6e5p – 211 amp, I help the 6e5p with CCS to drive the 211, the 6e5p is not a easy tube, it is very exigent. At the begin give me a lot headache, oscillating a lot and give me a horrible sound, later I put a 1k grid stopper ti G1 and the oscillating finished. Too I had to move many times the bias point, sorry for not read you before, the 6e5p fell better far of the -2v bias and is very audible the different, now I use a battery Ni MH as cathode bias with 3 AAA at 3,8v, after tested resistor-cap ( Silmic II) and Led bias ( red, green and blue ) , one day I tested the diodes 1N4002 4 pcs in line to give 2,9v but too was horrible. Now I use the battery as the winner. Lot 2 Reflector 1967 OTK logo more open, more air, more all. In your big experience about the 6e5p same recommendation about which year or factory need to buy. Celsius, I do not know what CCS you impended, did you drive 6e5p’s plate with constant current source? I also do not know/like 6e5p with battery bias. The only application that I find 6e5p suitable was the Milq-style bias with two gas tube driving voltage across a grid resistor. I endorse only this application with THIS tube and I am not qualified to talk about sound of this tube in other configurations as I did not like this tube in any other configuration I have tried. About the oscillating. Yes, a grid resistor, a ferrite bid in the grid do help. Some of them oscillate more than another however. The 3,8v for bias is about right. The cathode bias with batteries – I do not know about that. About the vintage - it is universal rule for tubes and for Russian tubes in particularly – the older tube are better than newer. The presence of OTK logo I find is irrelevant but the fact that the tube 7 years older is good. Celsius, I do not know what CCS you impended, did you drive 6e5p’s plate with constant current source? *1 I also do not know/like 6e5p with battery bias. The only application that I find 6e5p suitable was the Milq-style bias with two gas tube driving voltage across a grid resistor. I endorse only this application with THIS tube and I am not qualified to talk about sound of this tube in other configurations as I did not like this tube in any other configuration I have tried. 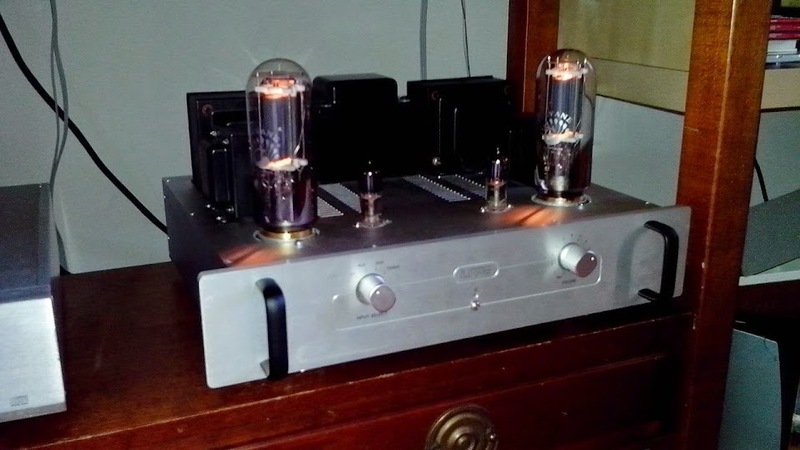 The sound signature is very neutral, but I am not sure which tube like more, my last with the 6c33 or the 211, I need to give more time, all components must break in included the teflon capacitor FT3. This is my first DiY amp and your ML is a little dificult to begin, I had good luck that the battery bias run very good, I recommend this bias over led or resitor-cap. about the CCS is two dn2540 in cascade but I am not sure if like more with or without, I need more time. Some few 6e5p have black dull getter not shiney chrome getter. never been used and they still test normal. do they sound any different?